"Slow down you move too fast" might be lyrics to a song that some of you will know. Familiar or not with the song, you are sure to connect with the need to take some time to reflect. I might rewrite the next line of the song as "you got to make Advent last." Advent, you ask? Yes, you know the four Sundays before Christmas. It's the Church's intentional time to prepare for the coming of the Christ-child. Yes, you are correct, it is not four weeks before Christmas yet (yes, you are right Momma Jane). At Holy Spirit Verona we are experiencing three weeks of what I am calling "Pre-Advent." 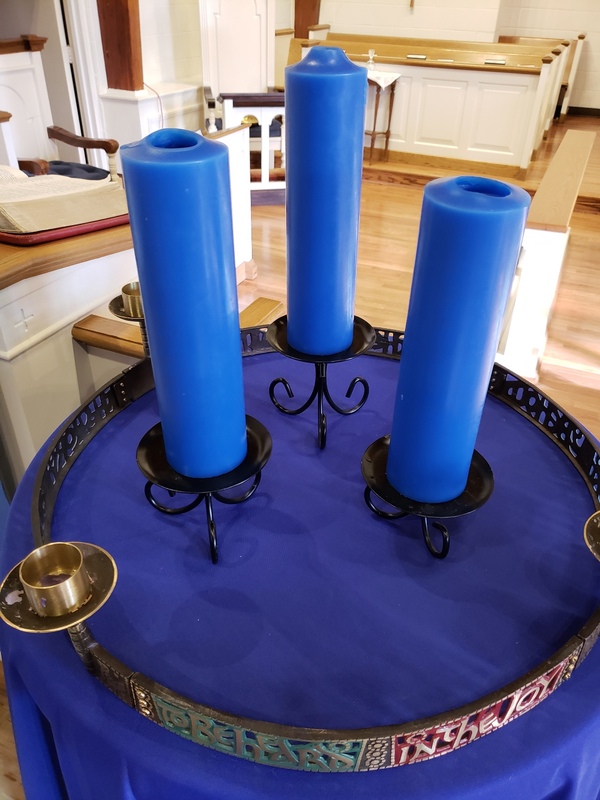 Having begun last Sunday (November 11) when I strongly encouraged people to take an intentional “pause” before the waiting and preparing of Advent. Advent used to be seven weeks, up until the 7th century, and there is a small movement within the Church to return to that (see www.theadventproject.org). Many of the scripture readings and prayers post All Saints (first Sunday in November) give a hint or leaning towards Advent, so I say... why not just go there. We are not bringing forth Christmas early like many retailers (and Verona’s lampposts) do, but rather allowing an intentional time to PAUSE before the all-consuming month of December. These three weeks of Pre-Advent, I hope, will bring forth a level of preparation and space during Advent which will make Christmas that much more meaningful. What I appreciate about Holy Spirit Verona, is that we are not afraid to try things. This seven weeks of Advent (well, three weeks of Pre-Advent and then four weeks of “real” Advent) may only be experienced this year, but we shall see. Yes, it’s true I love Advent and I wanted to see the blue hangings, which are symbolic of the Blessed Mother, for just a few extra weeks. I encourage you to take some time to evaluate what is important to you, before the craziness of Christmas happens. Heck, even before the overscheduled weeks of Advent take over. Find some space these next three weeks to do something that will set you up well for the entrance of the Christ-child into our midst yet again. Join me as we prepare to prepare!